Anna and Elsa located at World Showcase Plaza. Goofy About Spring featuring Goofy, Chip ‘n Dale, and friends located near the main entrance. Miss Piggy & Tour de Fleurs Garden located at the Italy Pavilion. Spring is in the Air featuring butterfly topiaries located behind Spaceship Earth. Disney-Pixar Buzz Lightyear located near Mission: SPACE. The Living Desert Road Rally Play Area featuring Mater and Lightning McQueen located near Test Track. Fantasia located at Future World West. Phineas and Ferb located at the Odyssey Bridge. Farmer Mickey and Minnie located between Future World and World Showcase. Bambi and Friends featuring Bambi, Flower, and Thumper located at the Canada Pavilion. Aurora and Prince Phillip located between the International Gateway and France Pavilion. Beauty and the Beast located at the France Pavilion. Disney-Pixar Woody located at the American Adventure. Snow White and the Seven Dwarfs located at the Germany Pavilion. Lady and the Tramp located at the Italy Pavilion. The Lion King featuring Mufasa, Pumbaa, Rafiki, Sarabi, Simba, and Timon located at The Outpost between the Germany and China Pavilions. Cinderella and Prince Charming located at the France Pavilion. Year of the Ram located at the China Pavilion. Troll located at the Norway Pavilion. Illuminated Gardens – Select topiaries and festival play areas will be lit for even more after dark fun. Butterflies on the Go – Learn about a butterfly’s life cycle and journey. Mike & Sulley’s Monstrous Garden – A fun Monsters University themed play area to explore. Health Garden – A unique garden near the Land pavilion in Future World will display ancient medicinal plants. This year you will find a huge variety of festival themed merchandise including clothing, accessories, kitchenware, and more. These items will be available at the Festival Center (open Fridays through Sundays) as well as select merchandise locations throughout Epcot. There will be plenty available to keep the kiddos entertained during the festival. 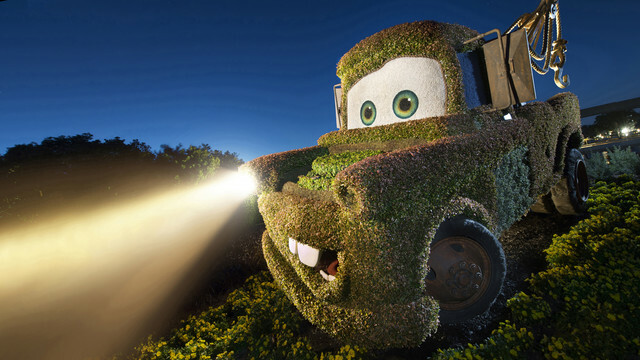 There are two play areas – Mike & Sulley’s Monstrous Garden and Cactus Road Rally Garden with Mater and Lightning McQueen – both of which are illuminated at night for even more fun. The butterfly garden returns this year and is always a big hit with the younger set. Plus Disney has created a fun interactive scavenger hunt for kids to follow and discover topiaries of their favorite characters. 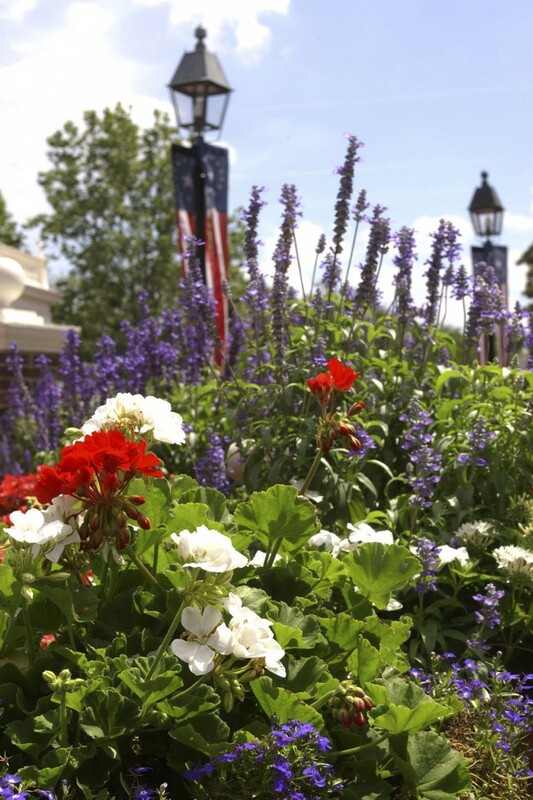 The Festival Event Center will be open every Friday, Saturday, and Sunday throughout the event to host complimentary demonstrations from gardening and horticulture specialists. From 11:00am to 7:00pm, see nature through the eyes of “Plein Air” artists, along with one-of-a-kind works of art in Guest Artist booths—located all throughout World Showcase. From 10:00am to 5:00pm, head for the Festival Center and discover why Florida is one of the top agriculture producing states in the nation. 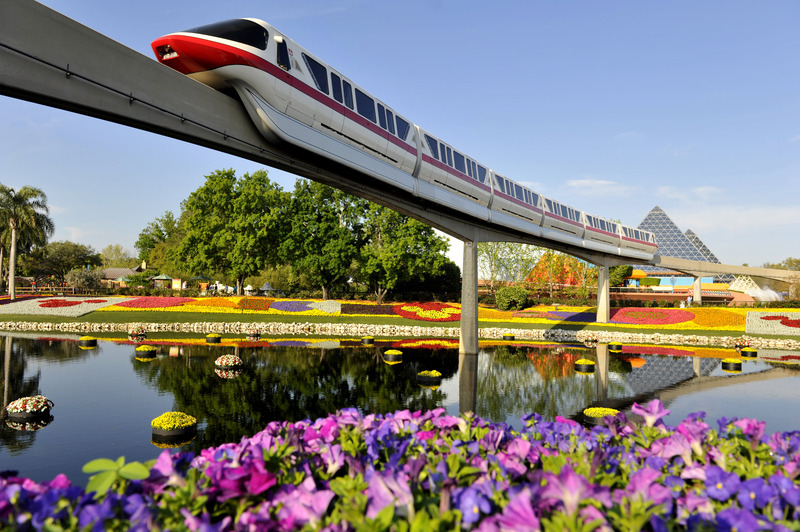 Have you attended the Epcot International Flower & Garden Festival before? What did you like the most? Are you going this year? Please leave a comment! Thanks for all the information. I’ll be in Disney, in just 27 days, now I can’t wait! I LOVE the Flower & Garden Festival! I’ve been to Epcot twice while it was going on, and I love to see all the topiaries and the beautiful flowers. Unfortunately I won’t get to see it again until next spring.